Congratulations to @ChaseHadden and @RyanOnBoard They both WON tickets to the SuperBowl party at Sound Academy. Now that leaves one pair of tickets available to be won. How can one win this pair? Send me a picture with you and any NFL logo of your favourite team. Add the #CanadasXLVI to the tweet. Winner will be selected randomly on Friday via @TwrTwtrChknDnr. So you are asking yourself, how do I get in? I will be giving away 3 pairs of tickets (valued at $46 each) by simply entering a tweet via Twitter. Tweet: " @clickflickca Canada's Official Super Bowl party is at Sound Academy #CanadasXLVI "
You will have 2 tweets per day to be entered. I will pick a winner using @TwrTwtrChknDnr to select my winners. This contest is only for Canadian residents. I will select 3 winners on Wednesday Feb 1, 2012. 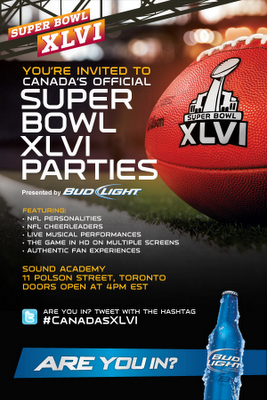 So enter for a chance to join the biggest Super Bowl Party in Canada! I recently found this site called Foller.me which is a cool site to just find out general info on a particular Twitter user(s) This is great way to source certain user(s) on topical matters. I really enjoy using the Hashtag and cloud mentions of this App. There are many Apps like this including tweetstats.com but I just like the clean interface of Foller.me. The Tweet Analysis also gives you a more detailed anaylsis of the type of interactions you have with your followers. I really like the metrics of when a follower actually tweets and the "Attitude" feature. Great way to target user(s). Give it a try and tell me what you think. Did I mention it's free? I had the opportunity to be invited to Corus Entertainment for an exclusive pre-screening of "GasTown Gamble" with Mark Brand. 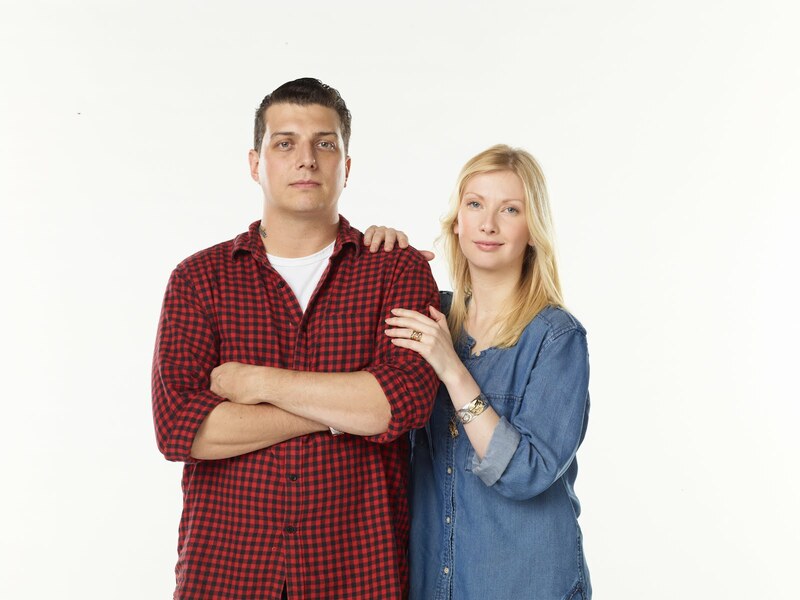 Mark Brand is one of the main characters in this new series premiere that will be shown tonight on the Oprah Winfrey Network at 9:30pmET and repeats at 11pm on Friday. If you are on the Rogers network that would be channel 72. 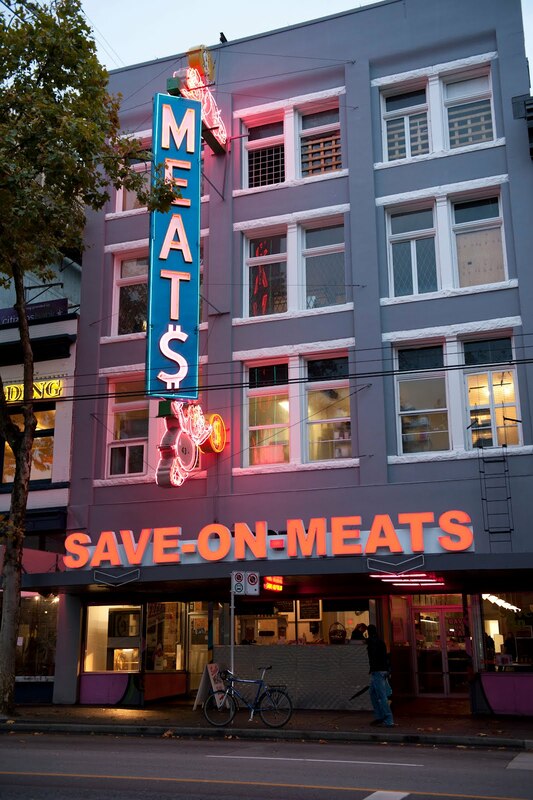 The premise of this show is Mark and his wife take a gamble on resuscitating Vancouver's iconic "Save-On-Meats" butchershop/restaurant in one of Vancouver poorest neighbourhoods. 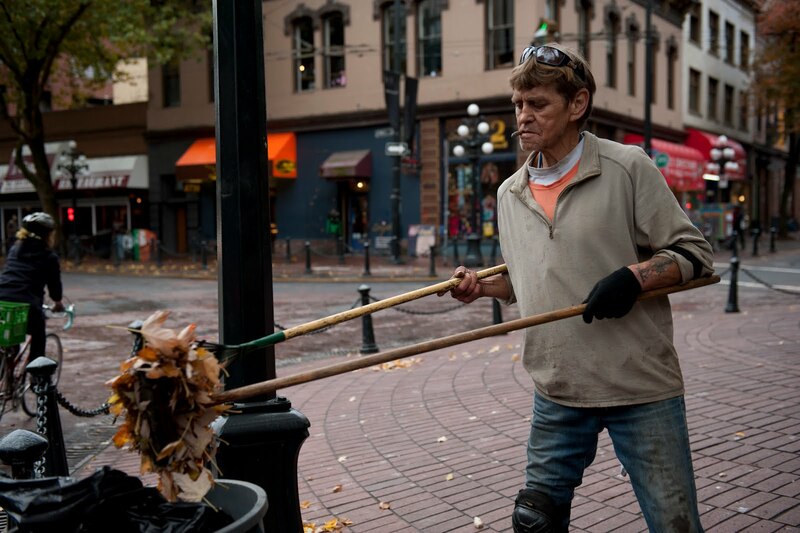 He hopes to revitalize the Vancouver Eastside neighbourhood by involving the community. The cast of characters are introduced in the first episode. I think the success of the show will be based on these characters if you watch tonight. I watched the 1st episode and already want to watch the next one to see how the witty and interesting characters develop. One character that peeked my interest is Football Mike. Meeting Mark Brand in person and listening to a Q/A after the screening tells me that this guy is really down to earth and someone that most of us can relate to. He's a cool dude doing his thing and I found that enticing of his character. 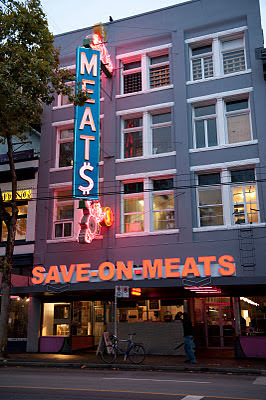 He is successful with his business but for him to take on this project with Save On Meats is like a challenge and leap of faith for him. 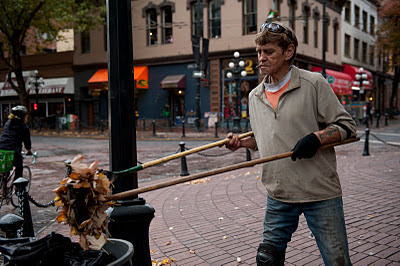 He truly has the interest of all those involved in the community and is doing social good with social enterprise. Below is a snippet of the Q/A. The question is how is he going to attract customers to his butcher shop/restaurant. This is the 2nd blog post on my Ford Experience. To read the 1st post you can find it here. First day 150 bloggers around the world converged in Dearborn Michigan for the North American International Auto Show on behalf of Ford Motor Company. The first night took us to the Henry Ford Museum that was not open to the public yet. We had the opportunity to have dinner amongst some famous automobile artifacts. 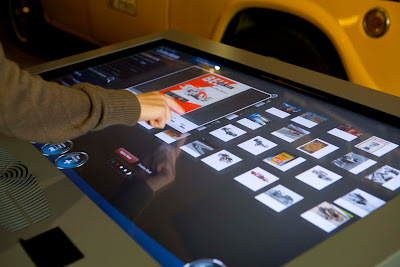 The integration of 18 touch screen kiosks at various locations at the exhibit was a great mix of old history and new technology. It's a great way to learn and see the progression of the automobile. This is stuff I didn't think would interest me but it was actually enlightening. Learning the significance in historical moments and change in design and style is very cool and inspiring from a creative sense for me. This is one of the older vehicles on display at the Henry Ford Museum. It wasn't only cars at the museum. Here is the original menu in one of the diners displayed at Ford Museum. Overall it was a great evening to understand the history of Ford and it's importance in the automobile industry. The next day we had the opportunity to wake up very early to see the big announcement and showcase of the Ford Fusion at Joe Louis Arena. This press conference was only open to auto journalist and Ford employees. This is probably the first time a significant number in attendance were blogger/social media types. The atmosphere had a very Cirque De Soleil feel to it. If you click on the image below it should give you a bit of a 180 degree feel to the event. The showcase of the Ford Fusion. Here is the media scrum after the presentation. Numerous media outlets on hand for this event. Including FOX2 below. Overall the sentiment online and throughout media outlets have been positive and I'm sure have exceeded expectations in terms of coverage for Ford. Here is another local Detroit News coverage. Finally on the same evening of the launch of the Ford Fusion we had the opportunity to visit Ford Headquarters. Scott Monty (Head Of Social Media) was able to address the bloggers with some stats and social metrics across the various Social Media platforms. Reaching out to bloggers that blog about fashion, lifestyle and digital moms seems to be effective. Over 2200 social media mentions. Reached over 5 million unique followers on Twitter. 40% of the coverage that day was on Ford. Chrysler had 18% and GM had 15%. This past week I had the opportunity given to me by Ford and Ford Canada to join 150 bloggers in Detroit for the North American International Auto Show. It is one of the world's largest showcase of automobiles and much more. The overall experience that took place over 3 days in Dearborn, Michigan was truly inspiring and a great learning experience. Over the coming days this blog will showcase what Ford the Motor Company is doing socially as a company as a whole. It will also showcase the cars they have introduced at the Detroit Auto Show. To be honest the first thing I think of when the word comes out about Ford is "Rob Ford". For those that do not know he is the mayor of Toronto who has had a controversial role as mayor in the city. What does this have to do with Ford the brand you may ask? Well Rob Ford is in the business of making change in a large city in Toronto for the good. If you live in Toronto you know how difficult it has been in the public face. 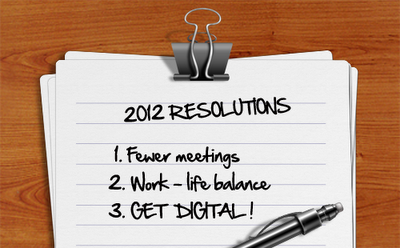 Switch over to Ford Motor company and they are embracing a new way of business too! They are using social media channels to engage and give a better understanding of the brand and the rich history. I just thought I'd through the Rob Ford in to give it a change up. Yes this is how I write in a weird way. Going back to the fact that Ford company invited non-auto bloggers is a testament to the forward thinking and the jump into social media by one of the largest american companies. If an automobile company does not do well then the economy as a whole gets affected. If the mayor of Toronto makes a stupid decision then the city is affected. Get where I'm going here so far? Hang tight here with me. Inviting non-auto bloggers to this recent event is smart. It enables you to spread the word to different markets that have not had much penetration. Fashion and Art are a few examples of bloggers that do not talk about cars so much in their blogs. The majority of the bloggers invited are "Mommy bloggers" who have a significant role in purchasing power in the household. Do you really want to read about how much horsepower a car has? Or are you just happy to hear that a car comes in multiple colours like red or blue with black leather interior? Everyone is different but I would assume the latter in this case. Aesthetics and simplicity are key to purchases. So to complete my thoughts in this blog. Rob Ford and Ford Motor Company are in the business of making sure we live in a happy environment with the proper services. We've all heard the saying of FORD = "Fix Or Repair Daily" That is definitely not the case with the Ford Motor Company but with Rob Ford... that still remains to be seen. I know you are expecting pics and images to the Auto Show but I thought I preface it with a nice and gentle intro into this blog series. The following video is Scott Monty who is the head of Social Media at Ford Company. I asked him how Social Media has affected his industry. I hope you enjoy. When I spend money I usually use cash or debit to make my purchases. To be honest, I don't buy anything with my credit cards unless it's a major purchase or at a restaurant. I'm the guy that likes to collect all the money for a food bill at the end of a large party to collect reward points on the bill. Visa Canada approached and explained to me that I can make small purchases on my Visa card that will earn me rewards so why not give it a try. Starting today for the next 5 days I will make small purchases via my Visa card that I already own. We'll see what kind of rewards I can gain by doing this everyday for the next 5 days. I will document/post/tweet my purchases and I know for sure a "Wobbly Pop" and food will be involved. So follow on Twitter with the hashtag #visaeveryday for details of my expenditures as well as others involved with Visa. Now what's in it for you? If you send any message/tweet including @clickflickca and the hashtag #visaeveryday It will automatically enter you for a chance to win a $50 pre-paid Visa card. Enter everyday for a chance to win. I will use @TwtrTwtrChknDnr to select my winner. This contest is only open to Canadians. Attended the Toronto Raptors game and had some pregame food. Later on the game my friend and I got hungry again. We decided on more snacks and treats! Headed out with some friends for some late night grub and drinks at Joey Toronto restaurant. 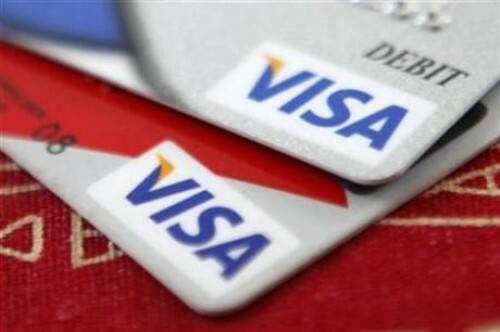 VISA is trying to educate the consumer that our everyday purchases can lead to rewards. This is Day 2 of 5 days. I'm interested to see what I could be collecting myself maybe rewards to collect a digi cam. Let's see if it works. Yeseterday I worked for most of the day. Bought lunch and some miscellaneous items. Various items from the grocery store. I've been invited by Ford Canada to visit the North American International Auto Show. I've been to the Toronto Auto Show before but never been to Detroit Auto Show. 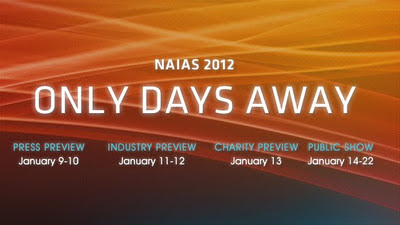 I'm looking forward to 3 fun-filled days of learning and experiencing more about Ford and the company. It's a great way for Ford to engage the consumers and a possible larger audience through this outreach. I'm looking forward to meeting many other bloggers from around the world. I'm happy to have been the select few from Toronto to participate in this initiative. So follow me on Twitter as I go through the motions at the #NAIAS Should be fun times! If you are in the business of everything digital you should be attending this Trade Show and Conference in Toronto on January 25th and 26th. If you are in Business, Marketing, Social Media professional or just a curious observer, you might learn a thing or two. I find when I attend these types of events I get inspired just like when I go on vacation. I feel invigorated and recharged with energy to learn. It's a great way to start the year and to learn from many industry experts and to rub shoulders with industry specific individuals. I'm really looking forward to the Social Media sessions of this show. Learning to use Twitter and Facebook for business are some of the sessions that interest me. The use of location base Apps and mobile are also popular sessions too. Dx3 markets themselves as the place to GET digital, not only as a place to get inspired, but as place to take action. If you would like a discount code, please DM on Twitter.